After what definitely was a very cold winter with lots of snow, BRO has finally started to clear snow from Srinagar Leh Highway. 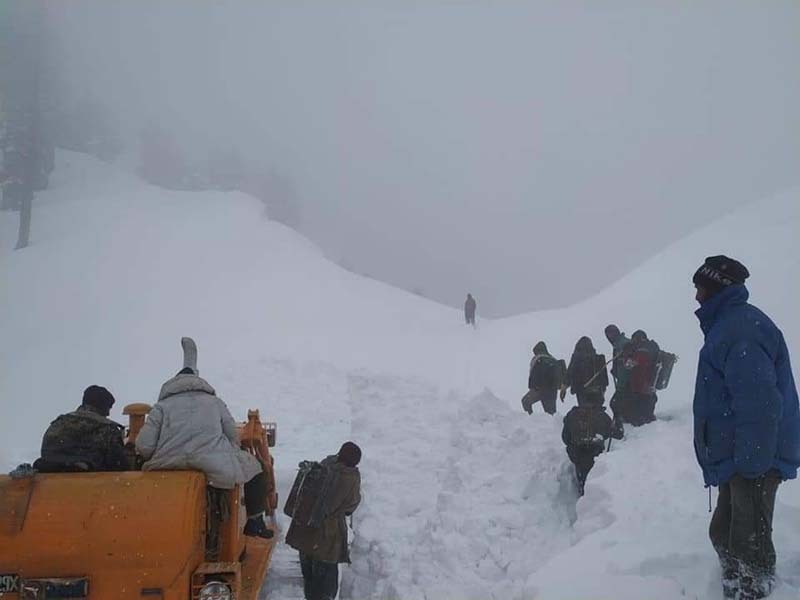 In the first part of the operation, the 12 kilometers stretch between Gagangeer to Sonamarg will be cleared and then the work will resume towards Zojila. As of now, from Srinagar side, you can only travel as far as Gagangeer; and from Leh side, the road is blocked after Kargil. Last year, the amount of snow on the ground was very less due to which the route was declared open in the month of March itself. The story this year, however, is entirely different; which the pictures below should be able to tell you. The entire Himalayan region received huge amounts of snow and still continues to do so. The winter in fact still continues and is not gone entirely. The pictures below are of areas around Sonamarg. For now, I do not think that Srinagar Leh highway will be declared open any sooner than early May. 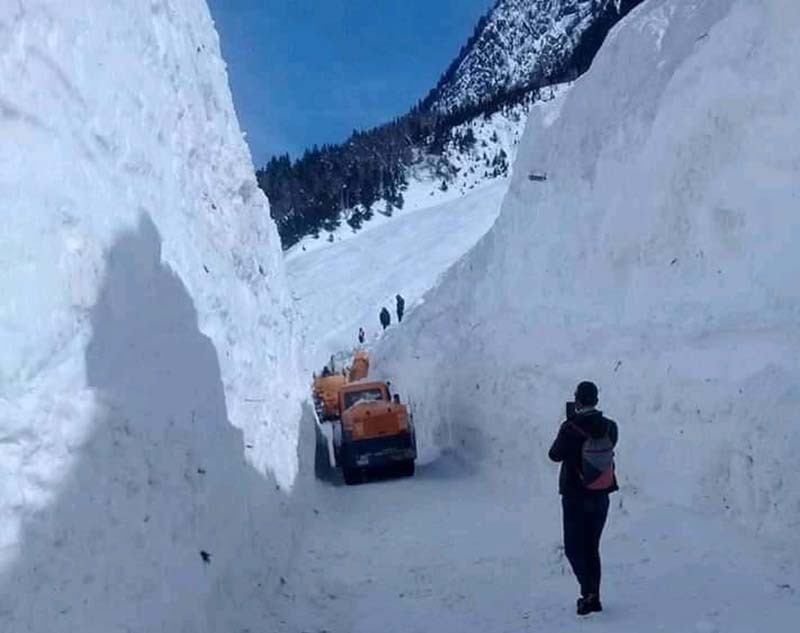 The Border Roads Organisation Tuesday started clearing snow from the 12-km-long Gagangeer-Sonamarg road along the Srinagar-Kargil highway, officials said. The road was closed in December last year following heavy snowfall. A BRO official said the clearance work will be completed by the end of March “if the weather remains favorable”. He said there is huge snow to be cleared this year as compared to last year on the road from Gagangeer side. “Around six to seven feet of snow has accumulated on the road this year,” he said. He said after reaching Sonamarg, “we will be heading towards the Zojila pass to clear its 30-km-long stretch of snow”. 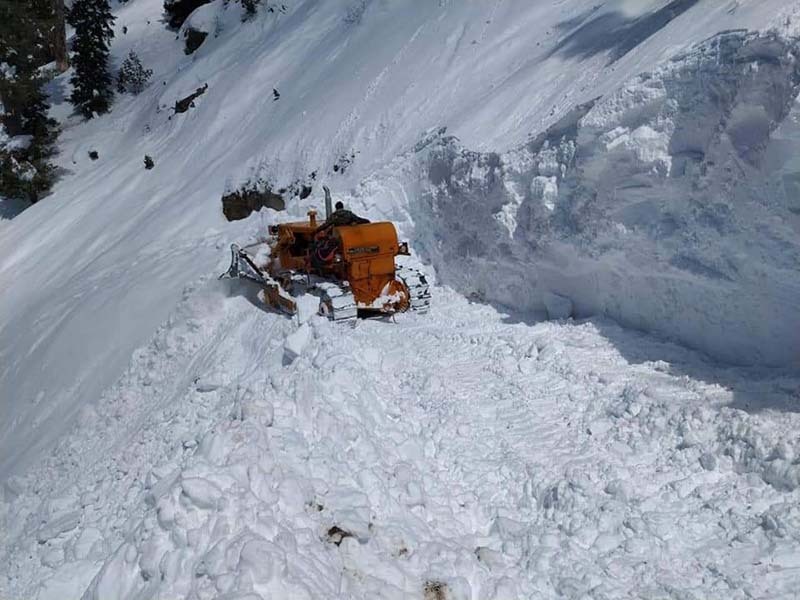 The project beacon of the BRO is responsible for maintenance and clearance of the road up to zero point near Zojila from Sonamarg side, while the Vijayak of the BRO clears the road from the Drass side. I hope the information above was of help. If you have any questions; or need any other details; please feel free to ask in the comments section below; or at our Community Forum; and I will be glad to answer. What is the current status of Rohtang Pass. When is that likely to open. We are travelling to Manali from 23rd to 26th May. Your guidance is really helpful. Thanks ! It is doable Abhi. Only change I will recommend is that you stay for a day Gulmarg rather than 2 days in Pahalgam. Sonamarg road is expected to open by early April bit it all depends on the weather. I doubt it will be open by 15th April this year. Vargis, did you get your thar? What do you think, when will this leh-> manali stretch be motorable. Planning this trip on my XUV 500. Hi Ashish – Yes I did get that Thar. How have you been? When are you planning to travel?